Michael Tonsmeire is an award-winning homebrewer, certified beer judge, sour beer blogger and has written articles on sour beers for various beer magazines. 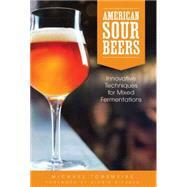 He most recently developed the recipes and grew the microbes for the sour beer program at Modern Times brewery in San Diego, CA. Tonsmeire resides in Washington, D.C.